I’m still melting. This movie makes you feel all bonny and fuzzy inside. I thought that it was sort of like a cat version of Spirited Away. It had the same idea of being wisked away into a world unimaginable by human kind. Basically, a teenage girl named Haru (voiced by Anne Hathaway!) feels as though she doesn’t quite belong. But soon after she saves the life of a cat, she gets involved in a whole different situation. The cat she saved just happened to be the Prince of Cats, and the King of Cats (his father) wants Haru to marry his son. As you can imagine, it gets a little, should I say, complicated. With the help of her new friends from the Cat Bureau, Baron, Mota, and Toto, together they find a way to save her from this peculiar fate. The idea of a cat and a human getting married just couldn’t seem to settle with me, so I was relieved when Haru started turning into a cat. It made it much easier to wrap my head around! You see, when in the Cat Kingdom, if Haru loses sight of who she really is, she turns into a feline. That’s why Baron, this unpretentiously classy, smooth, and witty fellow, keeps reminding her to believe in herself. That, my friends, is the whole moral of the story. A somewhat large, white cat. Toto believes he looks like a marshmallow. I agree. Did you know that he once devoured a whole lake of fish? He was originally a stone statue. 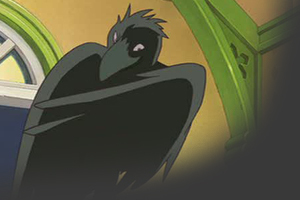 Otherwise, he’s a very amiable, joking crow, who came alive the same way that Baron did. She’s had this ability of talking to cats ever since she was young, except has never realized until recently. Haru is laid-back, trusting, a little sarcastic, and is the unassuming heroine of this story. She can be very fierce when the urge strikes her. P.S. The project concept of this story was thought up by the one and only Hayao Miyazaki! I’ve always been a big supporter with his legendary storytelling. 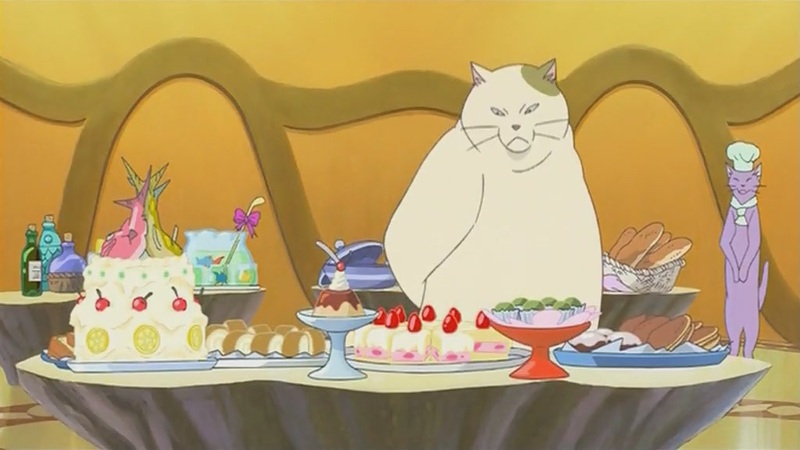 This entry was posted in Movies/Shows and tagged Miyazaki, The Cat Returns. Bookmark the permalink.